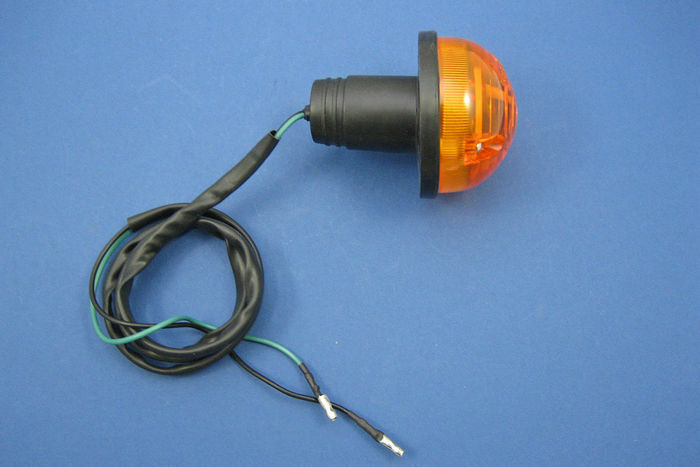 Wipac manufactured Land Rover style indicator light. Approximately 70mm in diameter. Requires 35mm panel hole. E -marked. 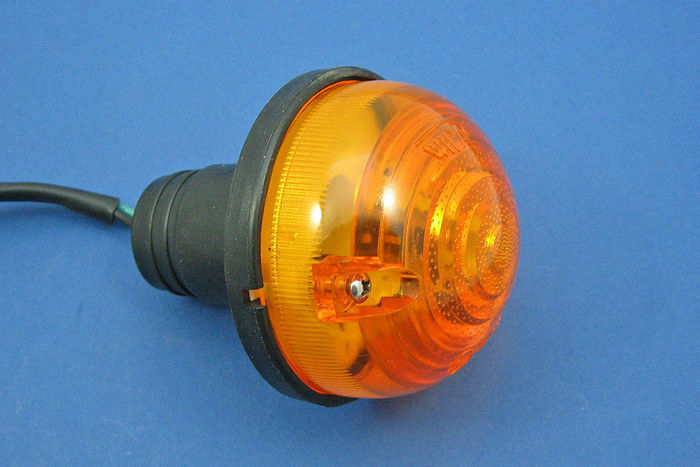 Takes a BA15s bulb (not supplied). 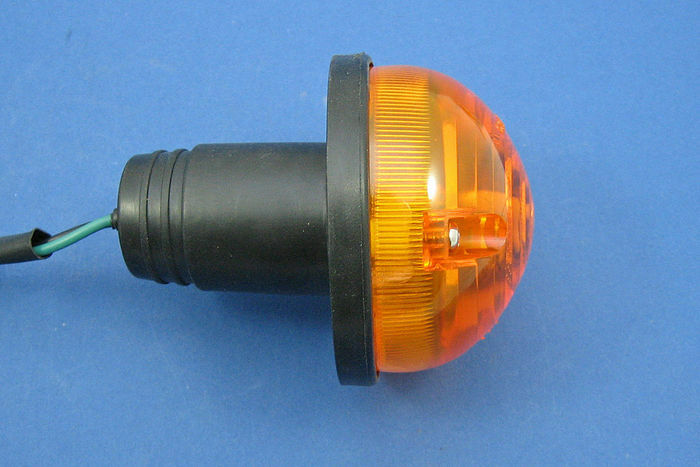 Supplied with 90cm lead with bullet connections.